The Cathedral of St. Mary the Virgin or St. Mary's Cathedral is the cathedral of the Diocese of West Malaysia of the Anglican Church of the Province of South East Asia, located in Kuala Lumpur, Malaysia. It is the Episcopal see of the Anglican Bishop of West Malaysia and the mother church of the diocese. The church management committee originally held a competition for the design for the new church. Unfortunately none of the designs submitted was considered good enough, and it finally fell to the Government architect, A.C.A. Norman, to propose a design based on Early English Gothic architecture. This design won general approval. The building consists of a nave 87 feet long by 28 feet wide, and a chancel 29 feet long by 22 feet wide with an octagonal end, together with a vestry and organ chamber. The nave can accommodate a congregation of 180 people and the chancel, a choir of 20. In 1958, the back of the main sanctuary was extended to accommodate a hall called the Jubilee hall. Further redevelopment of the cathedral has resulted in the Multi-Purpose Hall, as well as additional offices for the clergy and a studio apartment. The pipe organ installed in the church is a secondhand one built in 1898 by Henry Willis, the famous English organ maker who also made the organ for St Paul's Cathedral in London and the original Grand Organ of the Royal Albert Hall. The organ was originally purchased by Frederic Duberly, the Federal Commissioner of Lands & Mines and the Acting Resident of Pahang for his personal use in 1898 at the cost £381/12s,/8d. Duberly died of a heart attack on 3 April 1903, and his organ was packed up and shipped to Kuala Lumpur. In 1904, the organ was installed in St. Mary's and dedicated on 7 August 1904 but dismantled shortly after as the ownership of the organ had not passed to the church. It was only in 1915 when the church finally paid Duberly's executors the sum of $2,000 was the organ was finally installed in the north side of the church until 1926. In 1925 and 1926, the organ was badly damaged by two floods. It was repaired by an R. Myram and moved to its present position in the loft above the floor level. In 1927, Kuala Lumpur's sole organ builder, James A Riddell, rebuilt the organ and replaced most of the wooden pipes, the pedal board, the wind chest, and some of the keys. It was badly damaged again during the Second World War necessitating a complete rebuild in 1951, making the organ more Riddell than Willis by then. The fact that Riddell's work was reminiscent of Willis' work strongly suggests that Riddell might have been a former apprentice or jourmeyman of Henry Willis & Sons. There are currently 4 traditional/liturgical services in English on Sundays. The 7am service is a said Eucharist. The 8:30am is a sung Eucharist, with choir. The 10:30am service is a said family Eucharist, with also choir. A crèche, Kids' church and Youth Fellowship programme run at the same time as the 10:30am service. The Evensong in the setting of Eucharist is at 6pm, with choir. These services are all held at the Main Cathedral building and are aided by a pipe organ. Gospel-centred expository preaching is the norm in these services. The services vary in tradition, ranging from the 8:30am high church style service to the more simple 7am service, however none of the services are Anglo-catholic in theology or ritual. 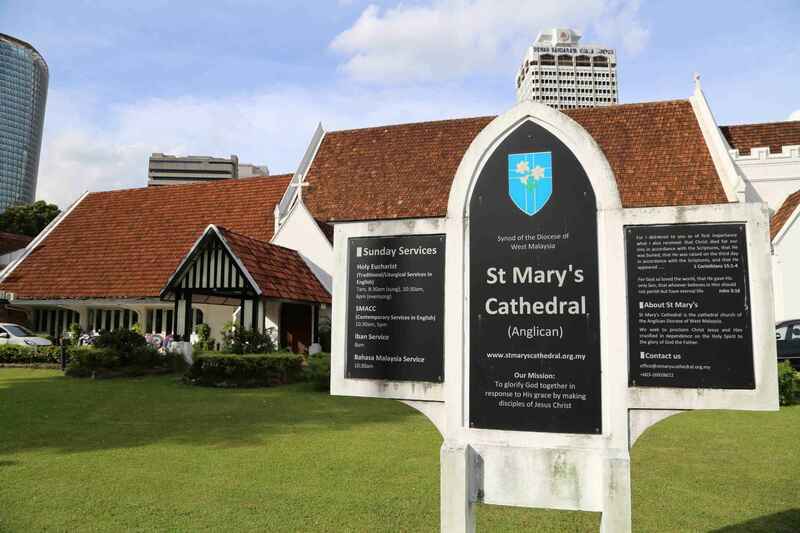 SMACC stands for "St. Mary's Anglican Cathedral Contemporary". There are 2 distinct SMACC services. SMACC 1 meets at 10:30am on Sunday mornings. A crèche, Kids' Church and Youth Fellowship programme runs at the same time. SMACC 2 meets at 5pm and the congregation is mostly made up of young workers and university students but all are welcome. Both congregations meet in the Multipurpose Hall. The hall is beside the main Cathedral and can be accessed through the back entrance of the Cathedral by the bookshop. Gospel-centred expository preaching is the norm in this services. 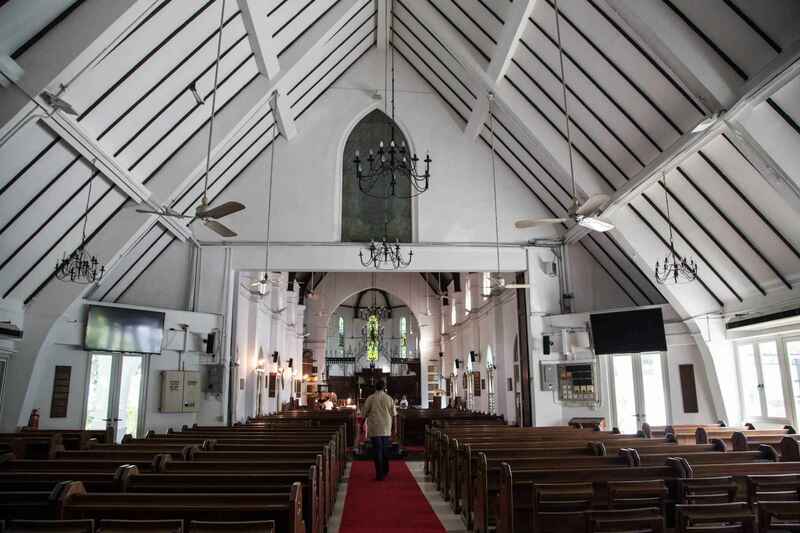 The Iban congregation is made up mainly of ethnic Iban emigrants from Sarawak. The service starts at 8am on Sunday mornings at the Multi-Purpose Hall. There is an Iban Sunday School that meets simultaneously at the nearby meeting room. The Bahasa Malaysia service starts at 10:30am on Sunday mornings in the Lady Chapel of the cathedral. Most of the members come from Sabah and Sarawak. The church is accessible within walking distance north west of Masjid Jamek LRT Station. St. Mary's Cathedral | eTips Inc.